Kent Melton visited Springfield Missouri with his collection of sculptures and maquettes. They include sculptures from the films Paranorman, Coraline, Lion King, Hercules and others. There were also some historic 1940's maquettes that Disneys animators used as reference. 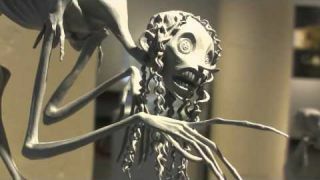 Several 3-D printed faces are shown at the end of the video that Laika studios used on the stop motion hit Paranorman.